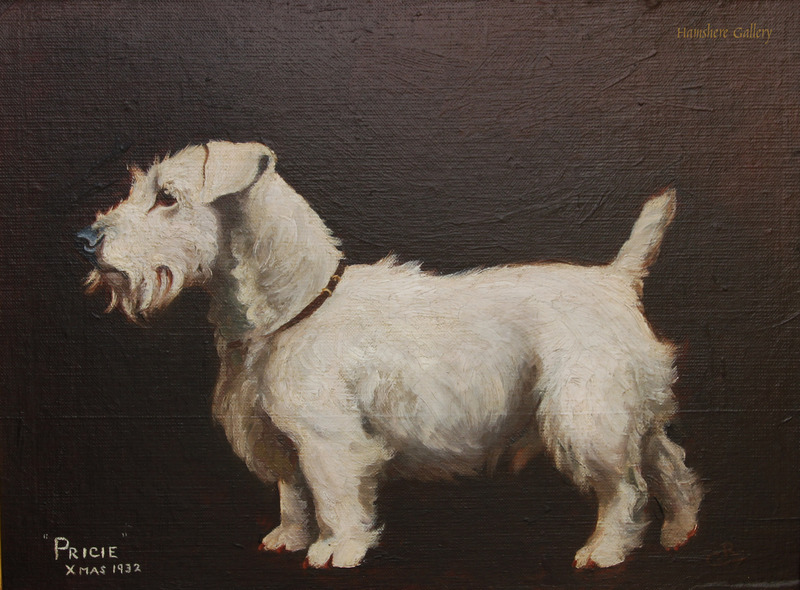 An English oil on canvas board of a standing Sealyham Terrier titled �Pricie� and dated bottom left �Xmas 1932�. Initialled bottom right �CR�. 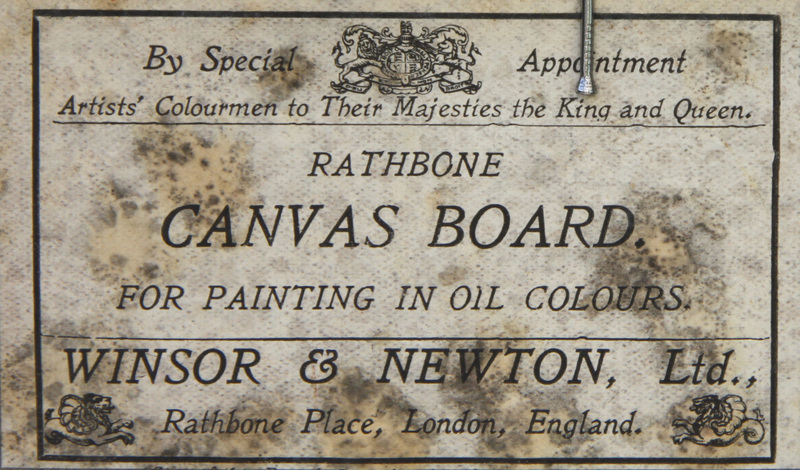 The reverse bears a Winsor & Newton �Rathbone Canvas Board� label.